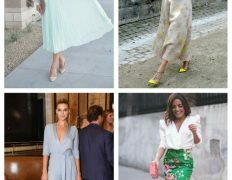 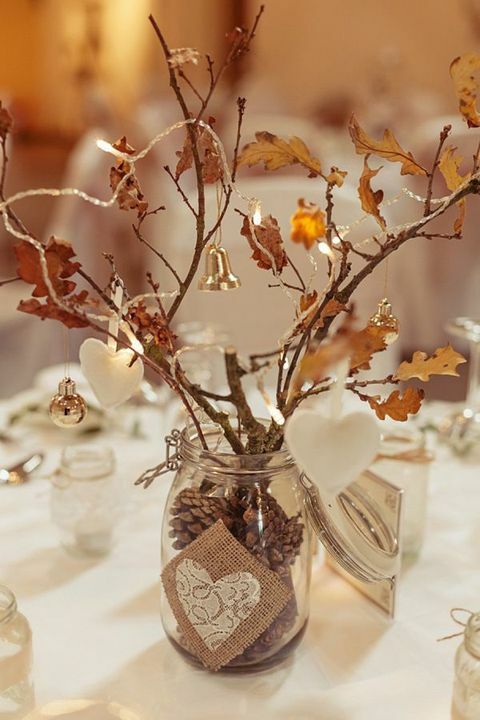 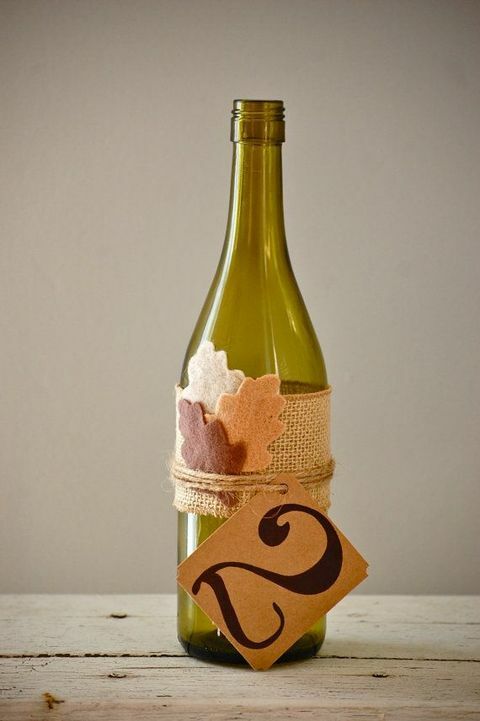 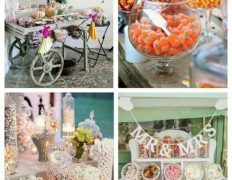 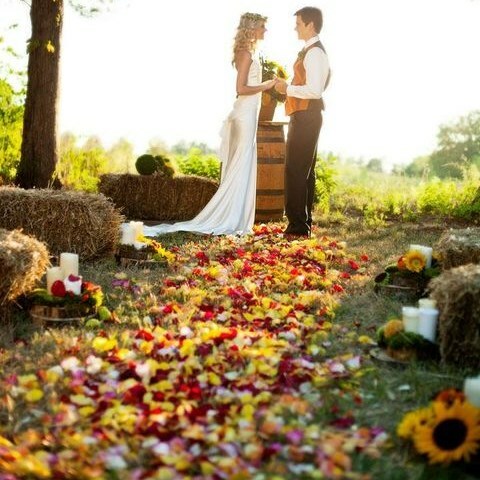 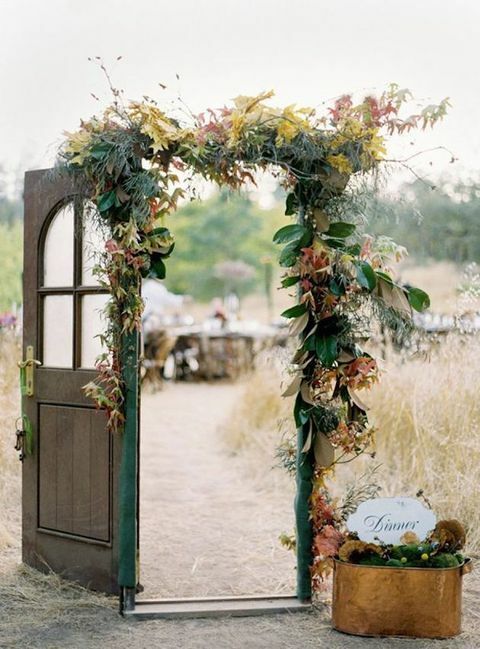 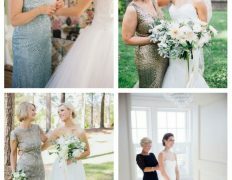 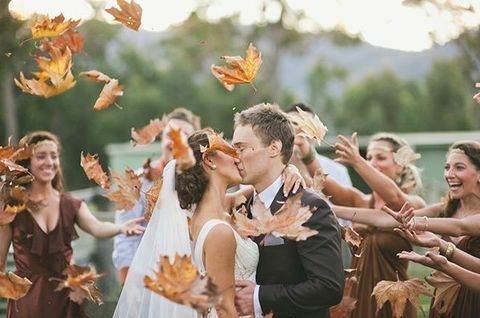 Preparing for your autumn nuptials? 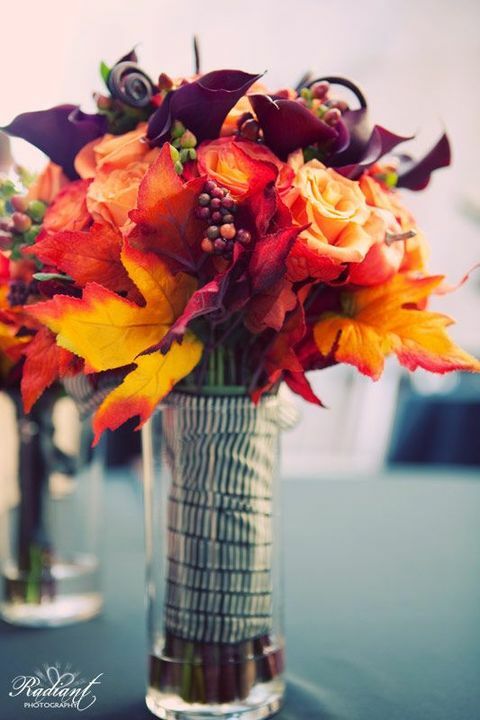 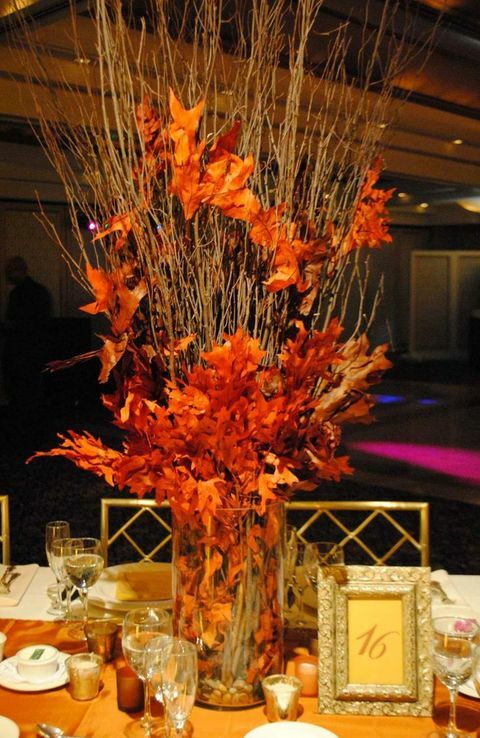 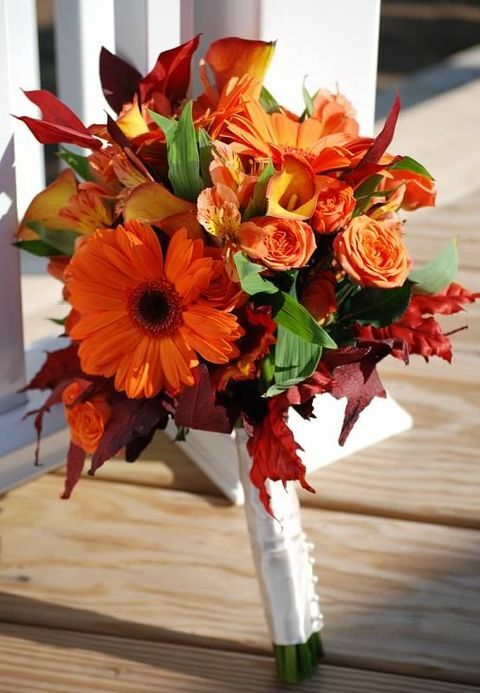 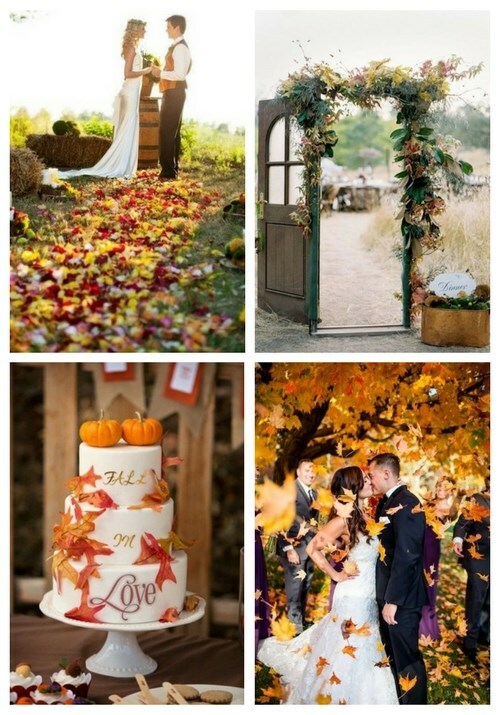 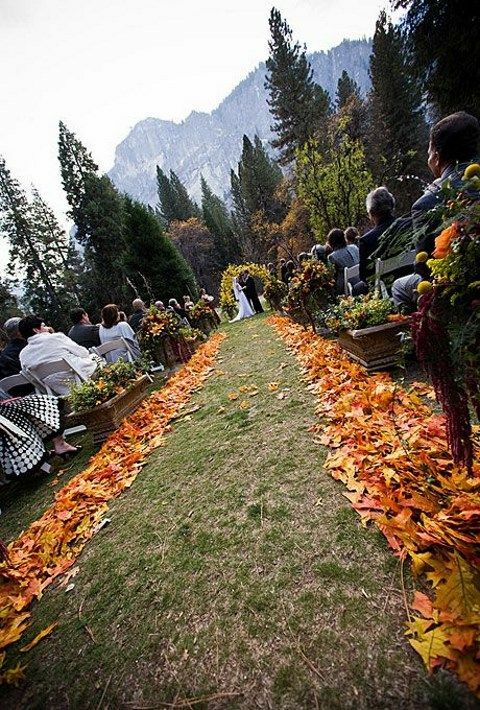 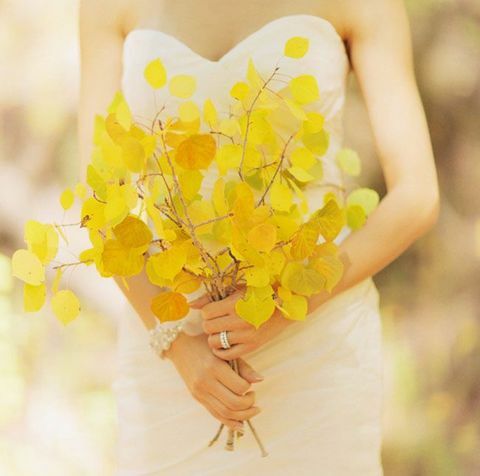 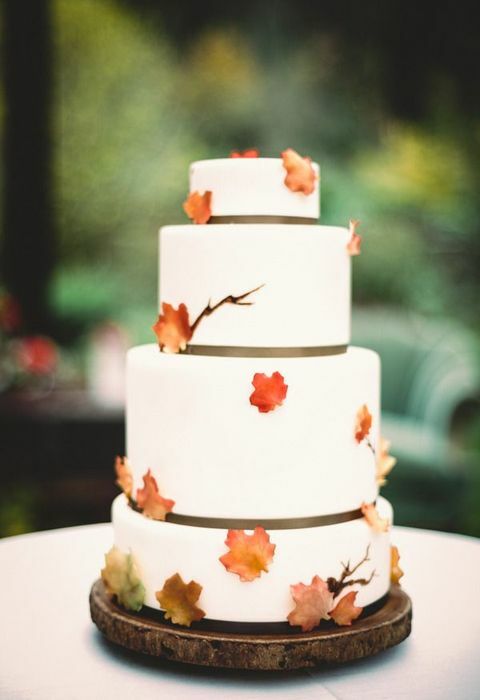 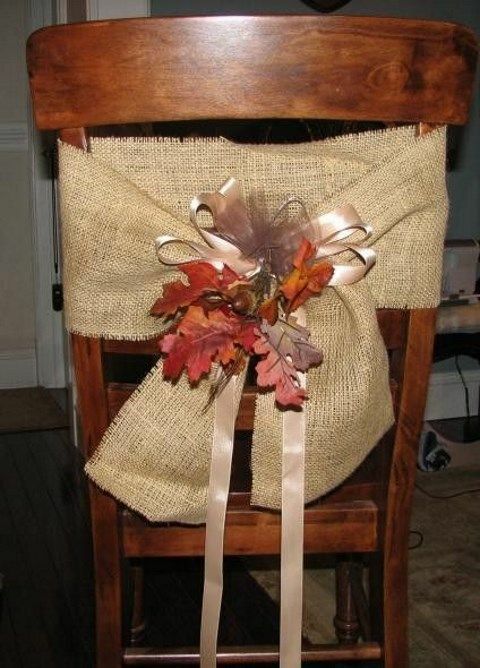 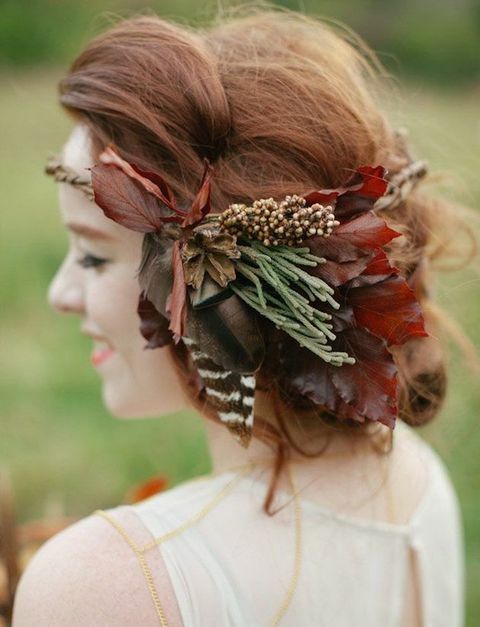 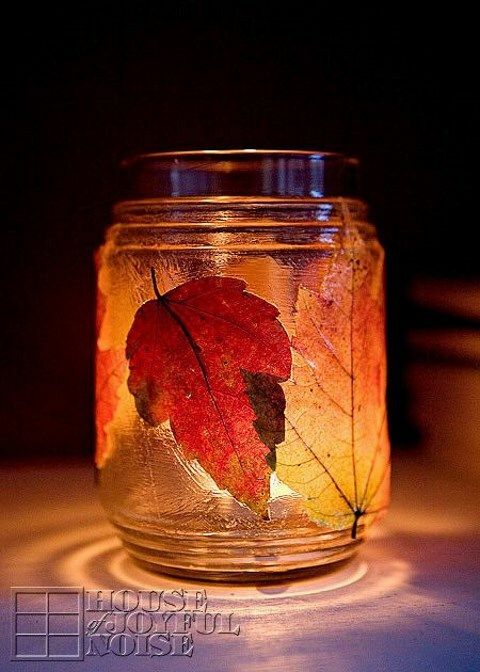 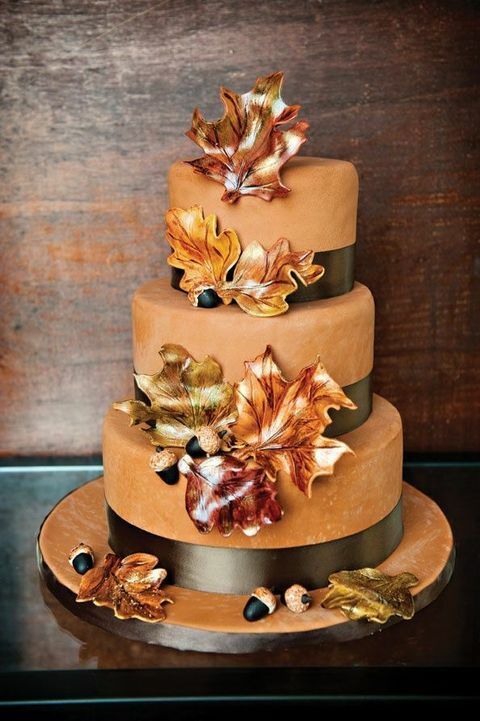 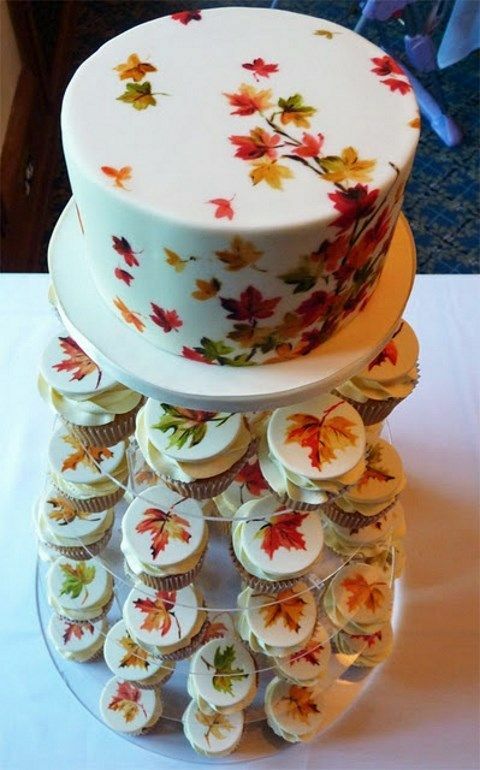 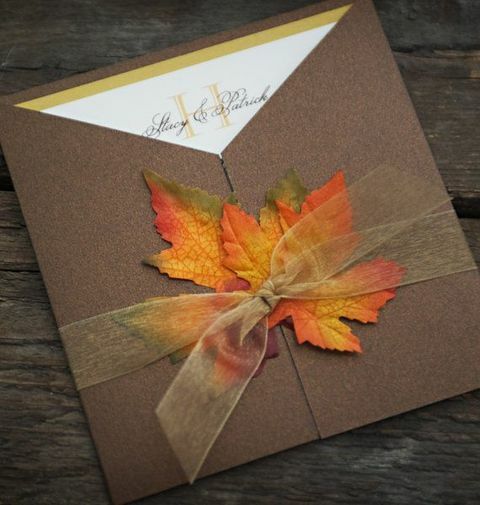 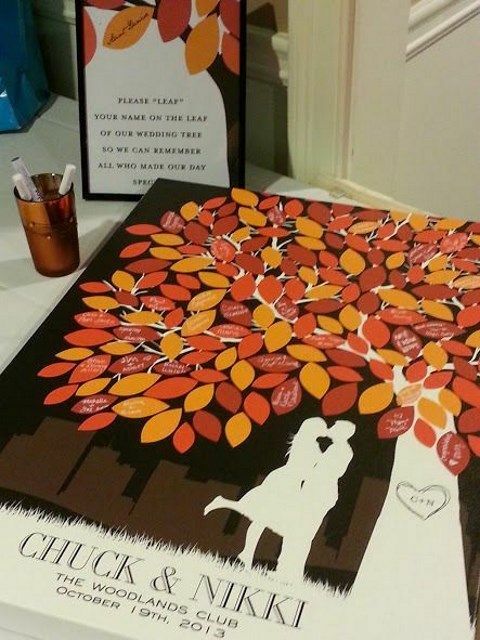 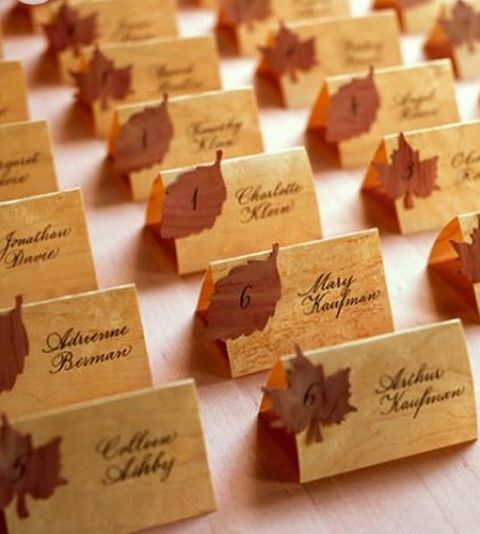 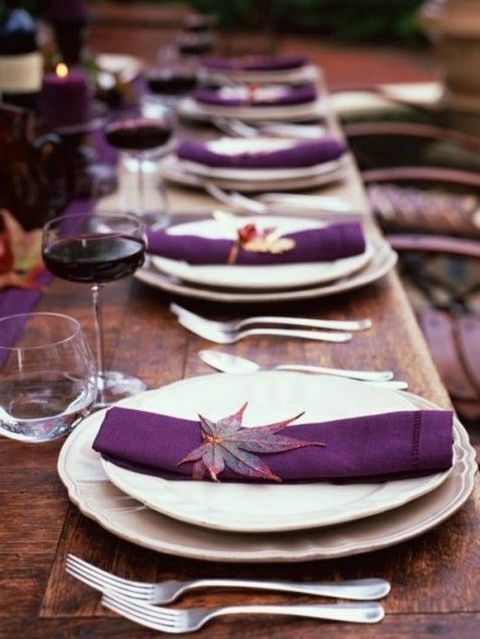 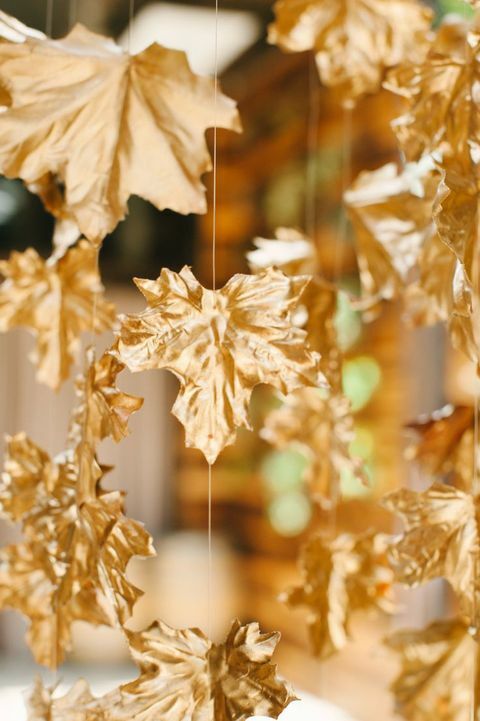 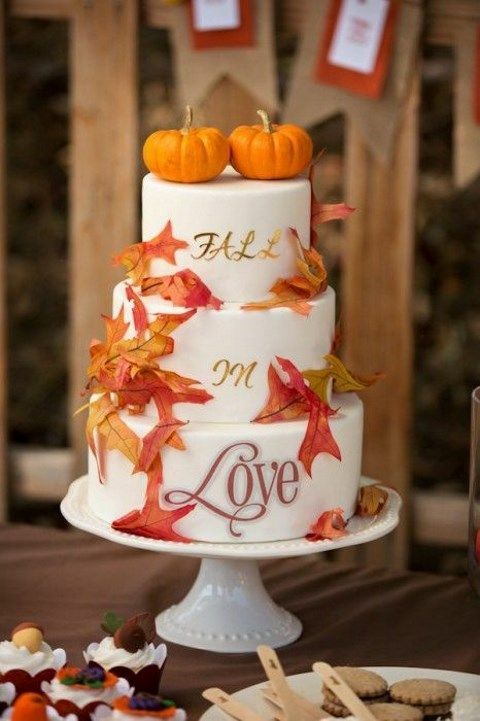 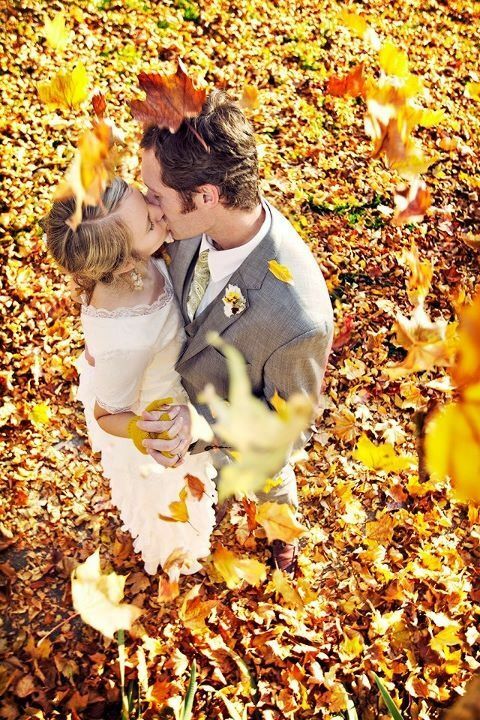 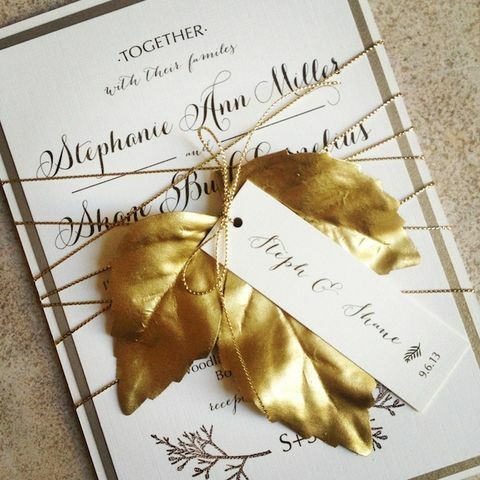 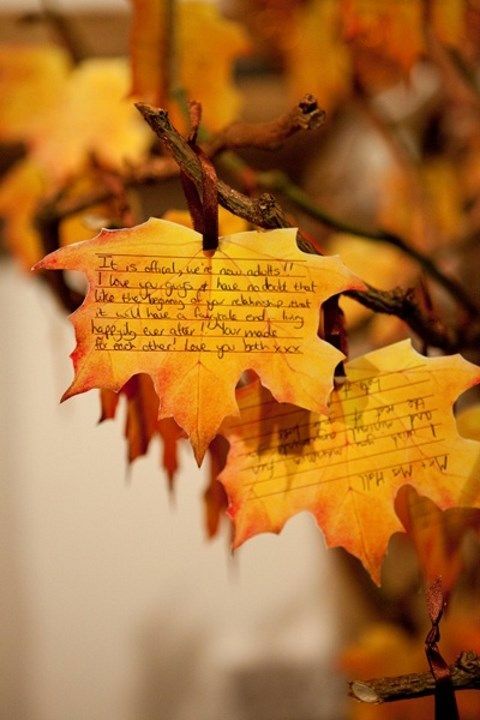 Beautiful colored fall leaves are an amazing way to highlight the season and add a cozy charming vibe to your wedding. 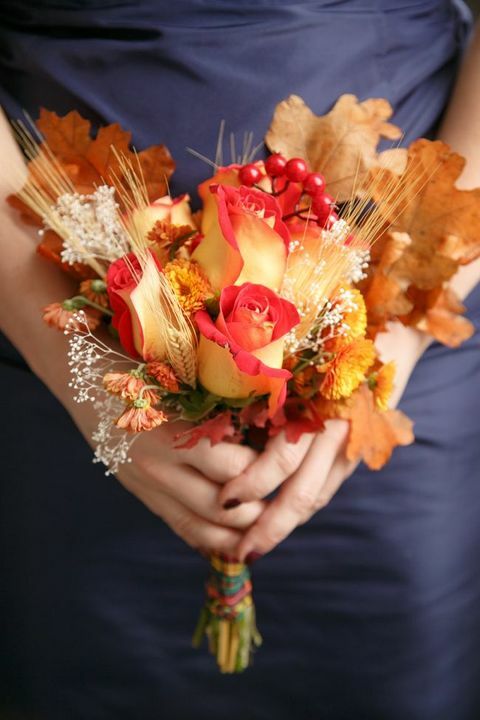 You can use them for decorating the aisle, the chairs, the arch; add leaves to your bouquet and your girls’ bouquets, to boutonnieres, to placemats and centerpieces. 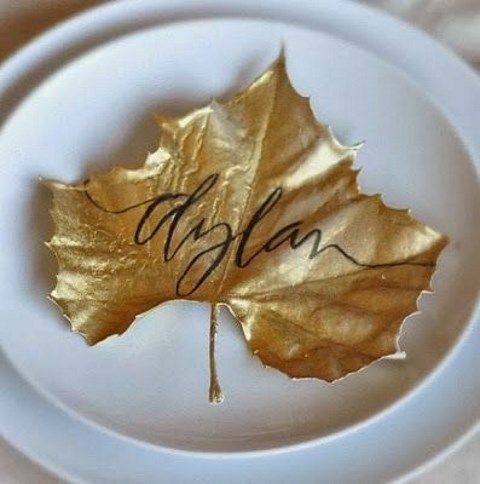 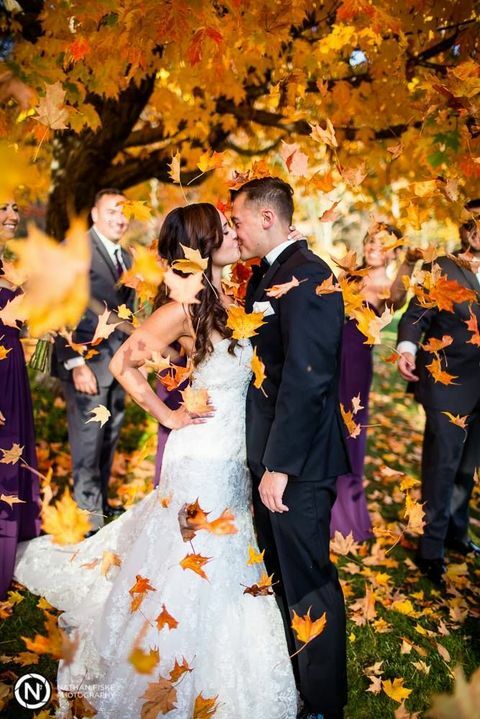 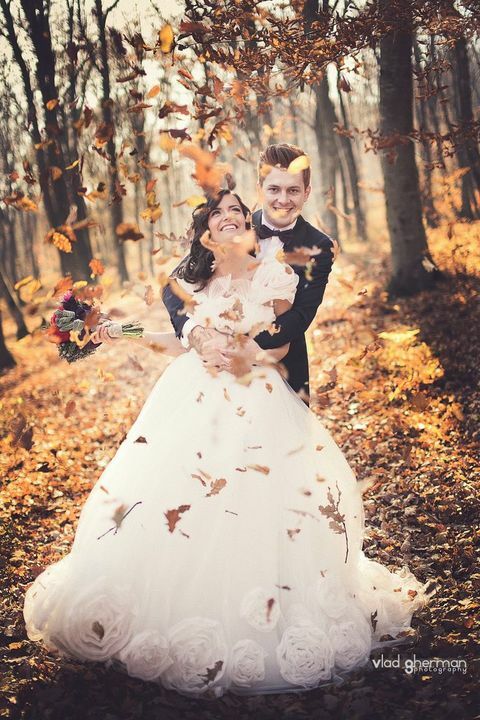 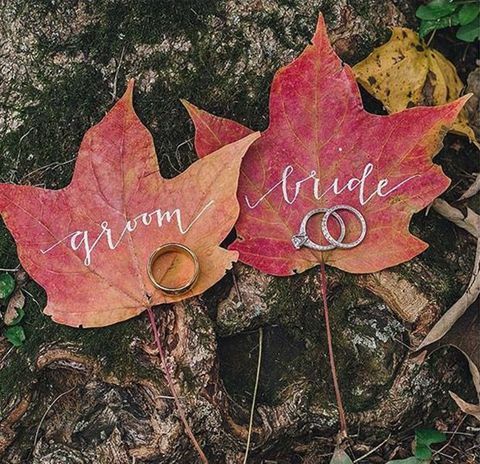 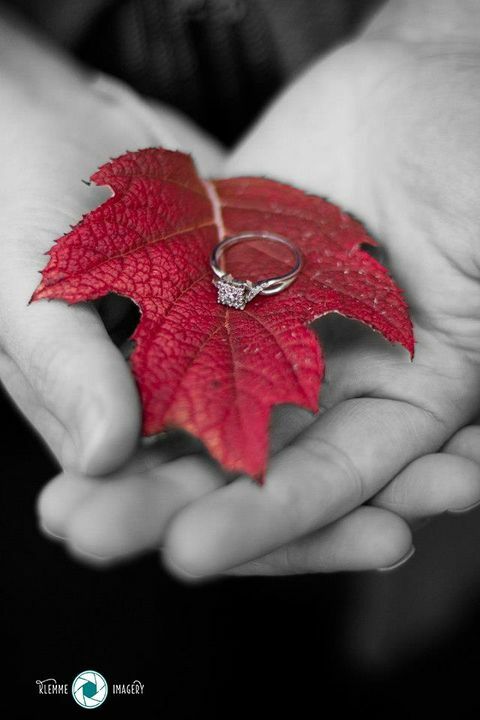 Make beautiful photos with your wedding rings and leaves, with you two kissing under the leaf rain, and use fall leaves instead of flower petals. 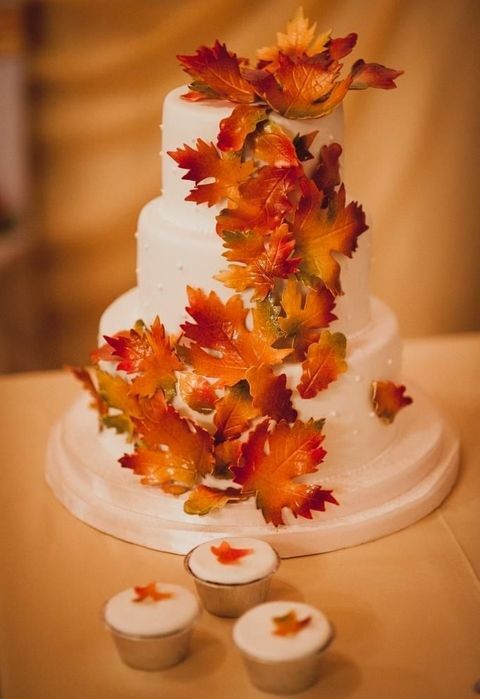 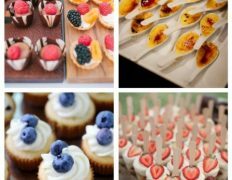 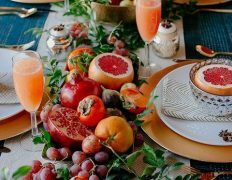 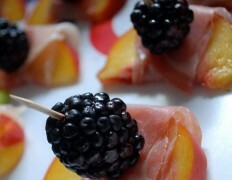 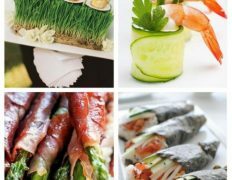 You can decorate your invitations, make wreaths and garlands from leaves and decorate your food, cakes and cupcakes. 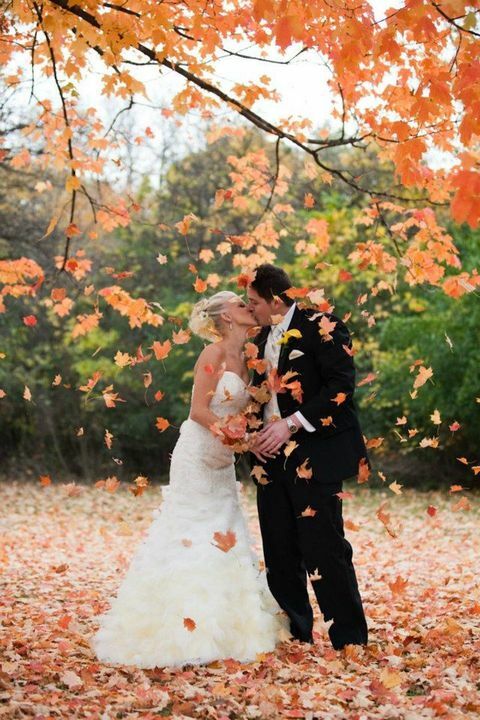 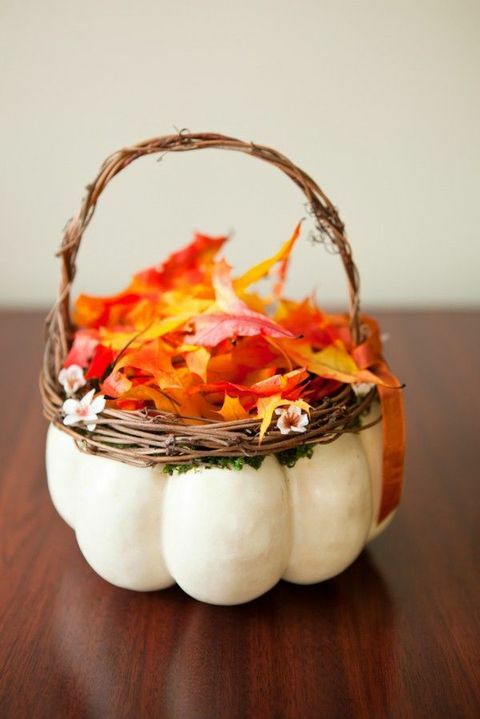 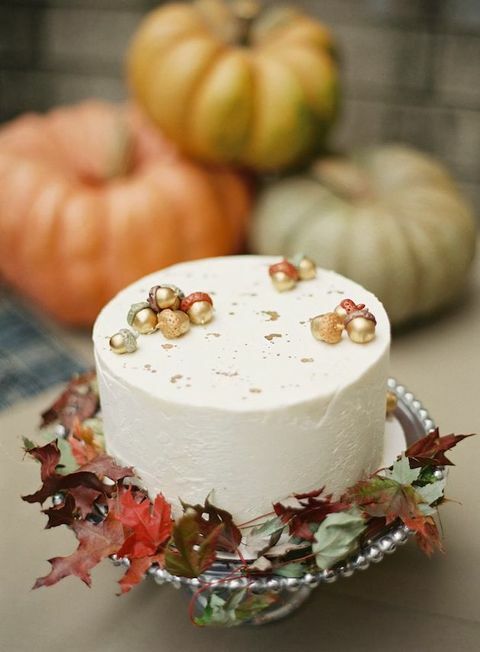 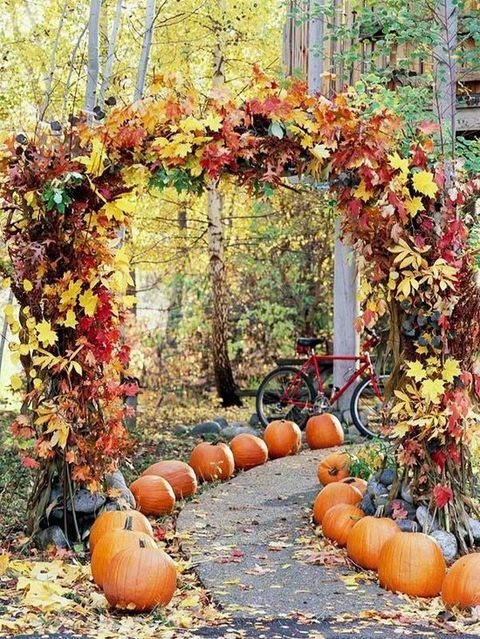 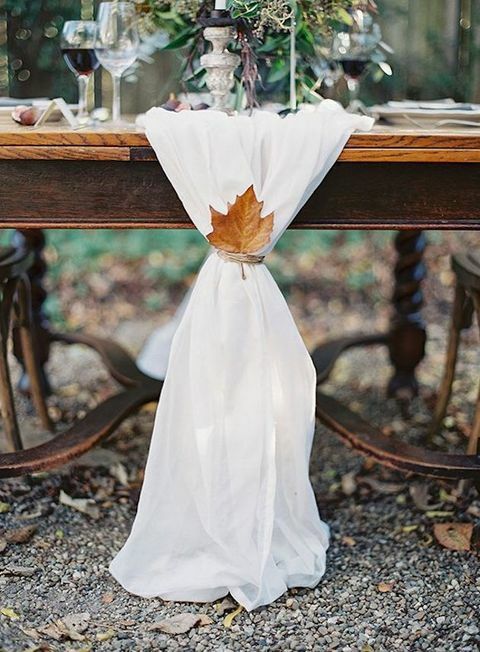 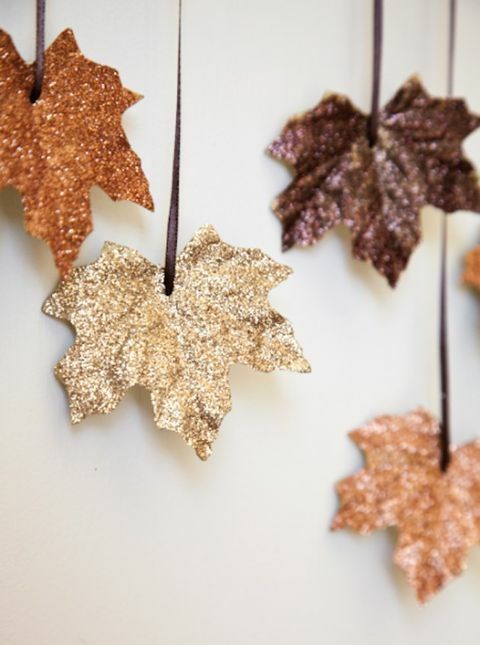 What’s good about fall leaves – they are absolutely free, so decorating your fall wedding won’t cost a pretty penny. 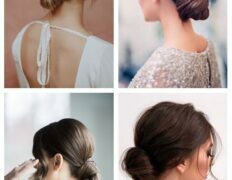 Get inspired, guys!